This product is available in Flipkart, Tatacliq. At flipkart.com you can purchase Lenovo Yoga 3 (2 GB RAM) 16 GB 8 inch with Wi-Fi+4G(Slate Black) for only Rs. 13,799, which is 19% less than the cost in Tatacliq (Rs. 16,990). 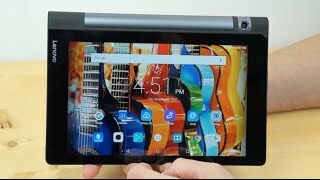 The lowest price of Lenovo Yoga Tab 3 4G 16 GB Tablet (Black) was obtained on April 20, 2019 2:39 am. The tablet is good . Worth for the price of 12k. However do check the ram upon delivery , it might be different than the one mentioned in the ad. Very bad tablet. After two months it’s not working. Too Slow for my liking. Can this be a complaint to return the product? I do not know. But it is slow, slow, slow! Whatever is left other than the speed is ok. So the display is fine. Worst product.1) SIM card detection issue.2) Battery issue.3) Poor service care – minimum 4weeks in hyderabad.Don’t believe ur luck. Save your money . Buy samsung tab or ipad but dont go for this just cause its affordable. Not worth it. It stucks its slow . Lots of drawbacks! I bought this product during the time of Great Indian Sale. I haven’t install any games. But,it hangs very often. I am feeling bad for buying this product. 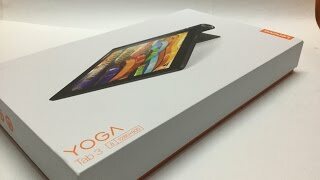 I have purchased the yoga 8 inch tab on 17.7 2017 through on line by paying cash. The problem is Jio sim LTE 4g is not working with tab. 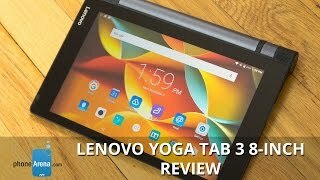 Pl if u send some other tab compatible with Jio sim ,even I can pay some more money for the other brand and I will return the yoga 8 inch tab. Hope, u will consider my request pl.Thanks amezan.